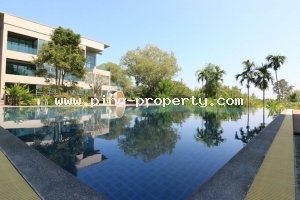 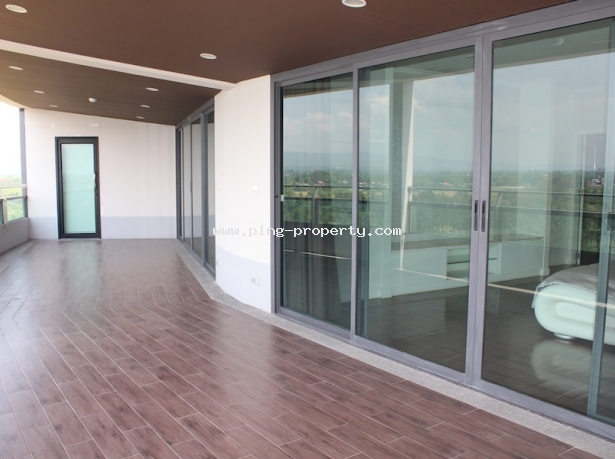 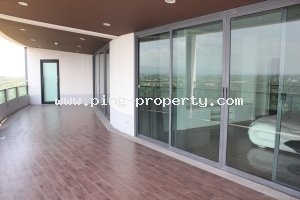 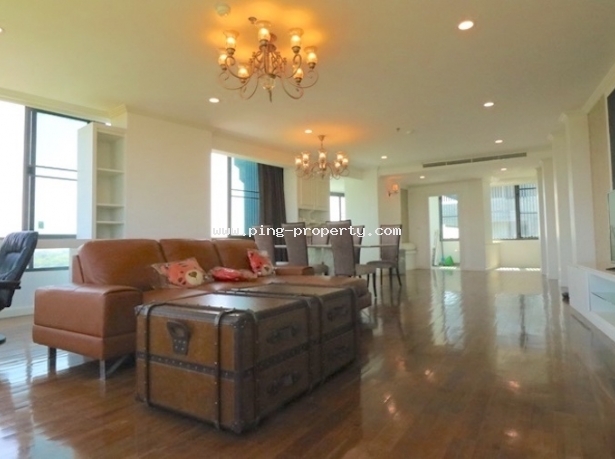 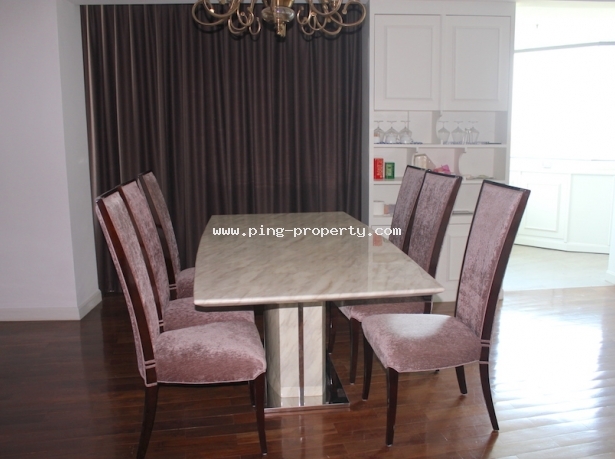 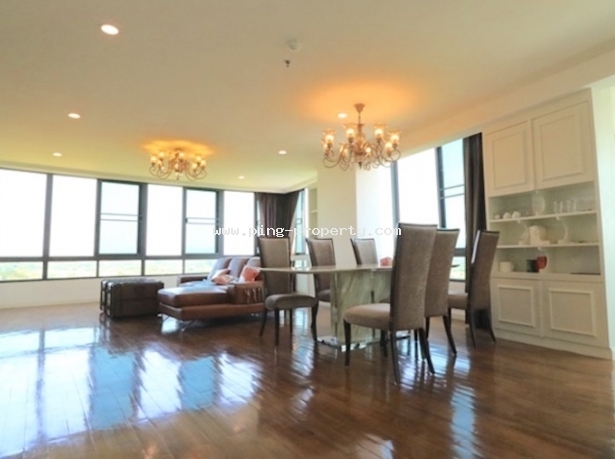 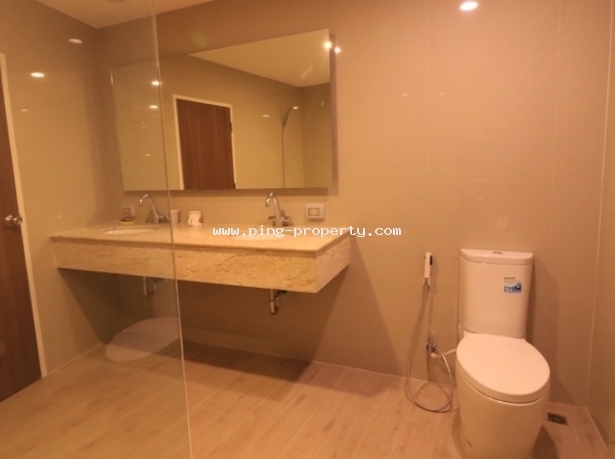 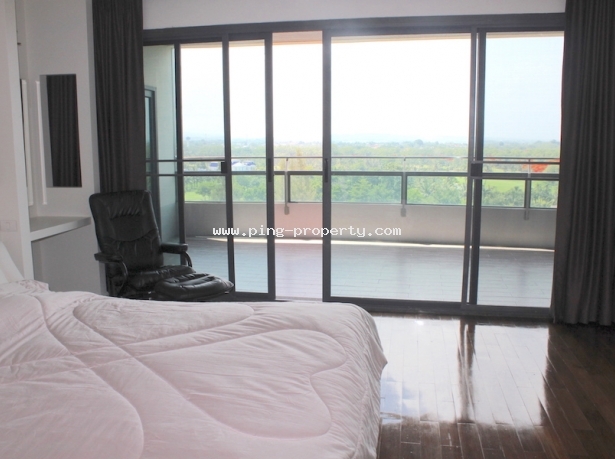 A large condominium in Summit Green Valley Golf Club for rent, Maerim, Chiangmai. 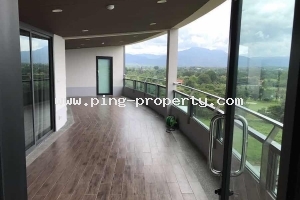 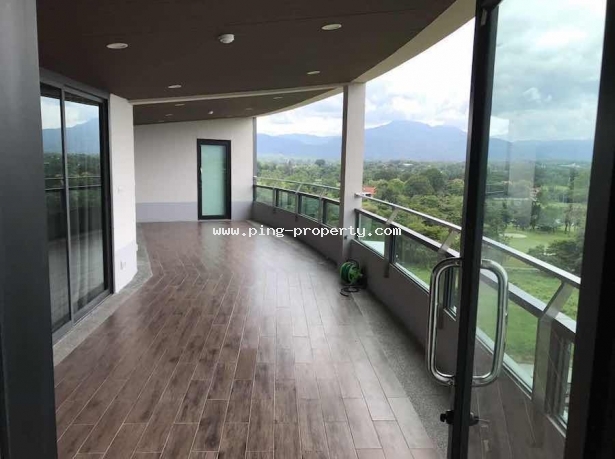 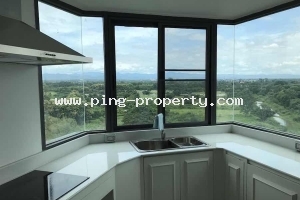 A large condo in Summit Green Valley Golf Club, Mae Rim, Chiangmai. 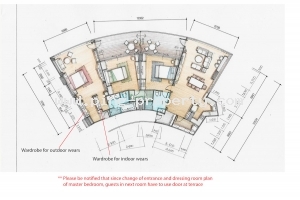 It has 3 bed rooms with 3 full bathrooms, a sitting room, a storage/washing room, a kitchen and a very large balcony. 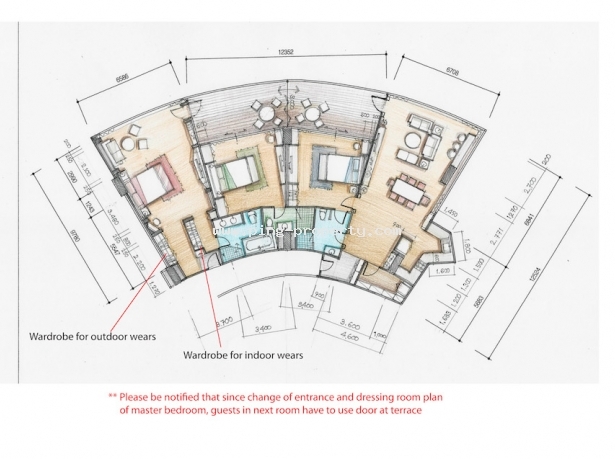 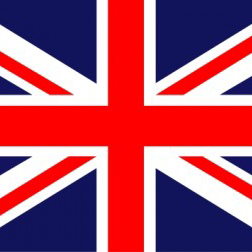 The total area: 239.46 square meters. 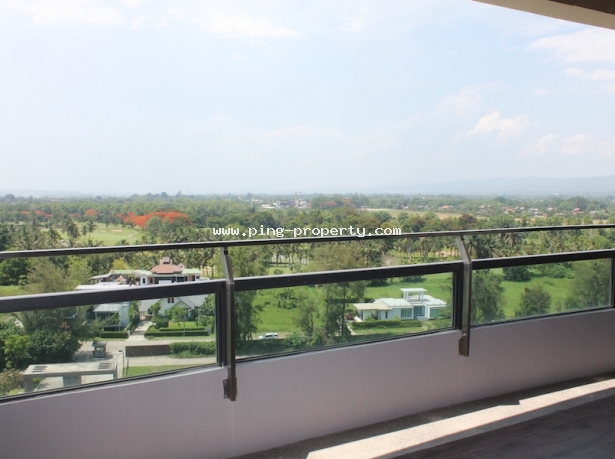 The condo is located right in a golf course, with special memberships for residents. 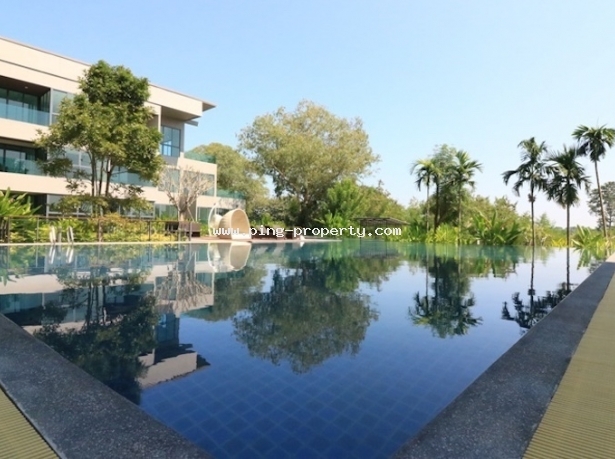 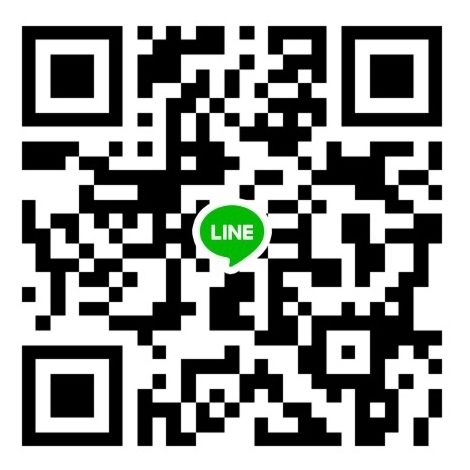 Most of the owners/residents are foreigners retiring in Chiangmai (Germen, British, Americans, Koreans...) The condo has free WIFI, free swimming pool, sauna room, restaurant, grocery, 24-hour security, etc.